ISOBuddy is a very user friendly ISO image file processing tool that can convert almost any image file format to ISO. 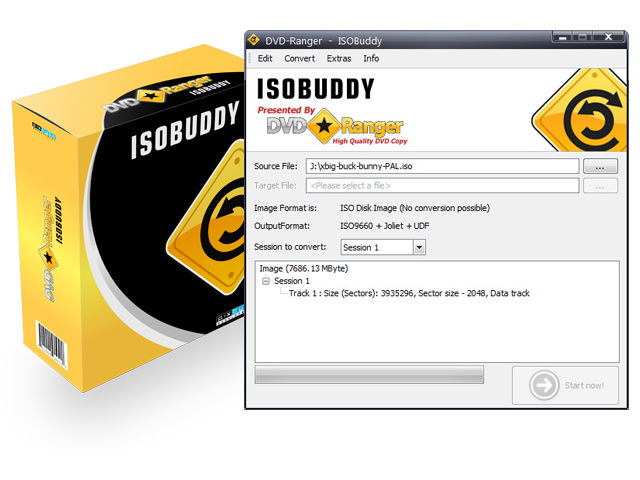 ISOBuddy with its power to convert GI, NRG, CDI, MDF, IMG, B5I, B6I, DMG, PDI, BIN and CCD to ISO image, erase CD/DVD and burn ISO image files to CD/DVD places DVD-Ranger on the top of all DVD Copy Software. - Fast: Only the disk structure is updated on drive level to make the disk appear as a blank media. - Complete: The complete surface of disk is over-written with a neutral pattern to clear all the data. - ISO Image Burner: ISOBuddy has the ability to burn your ISO image files to CD/DVD Disc. Qweas is providing links to ISOBuddy 1.1.1.3 as a courtesy, and makes no representations regarding ISOBuddy or any other applications or any information related thereto. Any questions, complaints or claims regarding this application ISOBuddy 1.1.1.3 must be directed to the appropriate software vendor. You may click the publisher link of ISOBuddy on the top of this page to get more details about the vendor.